Businessman, municipal official, community activist. Born at Winnipeg on 1 July 1919, the son of John George Waters (1888-1919) and Margaret Ann Waters (1888-1972), his father drowned at Grand Beach just a few weeks after he was born. He was educated at John M. King School, General Wolfe School, and Daniel McIntyre Collegiate. He was forced to find work to support his family but not before graduating from high school with honours in grade 11 (1937). In June 2003, he was given an honourary Grade 12 diploma from St. James Collegiate. He first found work as a clerk with the Scott-Bathgate Company Limited (1937-1940) and later became a salesman. From there, he went to the MacDonald Brothers Aircraft Limited (later Bristol Aerospace Limited, now a subsidiary of Magellan Aerospace Limited) as a sheet metal worker (1940-1941). In the Spring of 1941, he enlisted with the Royal Canadian Air Force and gained the rank of Sergeant, being promoted to Flight Sergeant by the Spring of 1943. He served with the 113th Anti-Submarine Squadron at Yarmouth, Nova Scotia before going overseas to RCAF Station Tholthorpe at Yorkshire, England. He worked as a Staff Recruiting Officer. While at Tholthorpe, he met his future wife Sergeant Constance “Connie” Paull (1919-1997), a member of the Women’s Auxiliary of the Royal Air Force. They were married at Lower Bebington, Liverpool, England on 12 December 1944. She moved to Winnipeg in 1945 and was joined by her husband in early 1946. They eventually had six children: John Waters, Dr. Ann Margaret Waters, Dr. Isobel Waters, Bruce Waters, Gordon Sydney Waters, and Frances Waters. He resided at 268 Sharp Boulevard in St. James for over 65 years. He left active service in 1946, returning in 1951 to the RCAF Auxiliary where he was the Senior Administrative Officer within the local Recruiting Unit. He retired in 1966 with the rank of Flight Lieutenant and received the Canadian Forces’ Decoration. His other military decorations include the Canadian Volunteer Service Medal with Clasp, Defence Medal, and the 1939-1945 War Medal. In 1992, he arranged to have published Paths to Freedom, the memoirs of fellow serviceman and friend Robert George Thomas “Bob” Kellow. He returned to work, in 1946, as a clerk with North American Buildings for six months prior to being a sales agent with Imperial Life Assurance Company (1946-1948), sales manager and office manager with MacKenzie Food Products Limited (1948-1958), and sales and production manager (1958-1961) with Bond and Ronald (now Cavalier Candies Limited). In April 1962, he was hired as Personnel Director for Winnipeg district of the Department of Veterans Affairs, based at the Deer Lodge Hospital. He was later promoted to Regional Director with responsibility for North-Western Ontario, Manitoba, Saskatchewan, and Alberta. On the prompting of his wife, he ran for trustee in the St. James School Division (later St. James - Assiniboia School Division). First elected in October 1965, he served four one-year terms as Chairman of the Board (1974-1977) and six one-year terms as Chairman of the Finance and Faculties Committee (1978-1983). He played a major role in the acquisition of special general insurance coverage for schools. In contrast with the 1960s and early 1970s that saw a strong demand and construction of new schools, in the later period of his service in the late 1970s and early 1980s, the School Division was presented with the challenge of managing their infrastructure after the baby boomer generation had passed through the school system. His policies and leadership enabled the Division to deal with the closure, rental, and sale of unused and underused schools. He and his wife, a special education teacher, were also greatly involved in promoting programs for people with disabilities, via the St. James Industries for the Mentally Retarded (now St. James - Assiniboia Industries Inc.), Westwood Vocational Centre, Sturgeon Creek Vocational School, and Laureate Academy. He retired from the Board in October 1983. 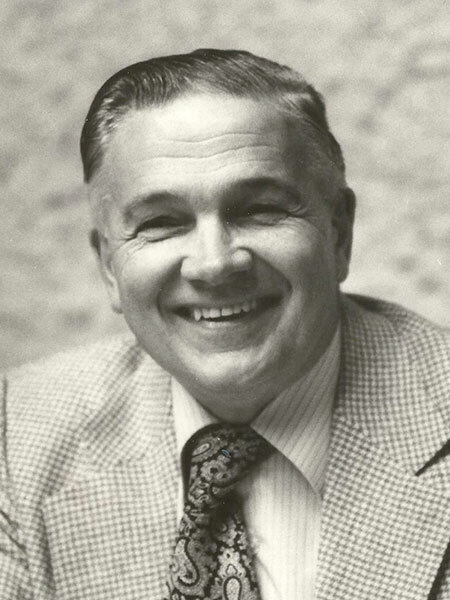 He served as a Director-at-Large with the Manitoba Association for School Trustees, and was a member of the Royal Commonwealth Society, Western Canada Aviation Museum, Winnipeg Branch of the United Nations Association, St. James-Assiniboia Scholarship Foundation (where the Constance Waters Scholarship is hosted), and the St. James Chamber of Commerce. In recognition of his exemplary community service, he was made a Life Member of the Assiniboia Chamber of Commerce (2007), and he received the 125th Anniversary of the Confederation of Canada Medal (1992), Queen Elizabeth II Golden Jubilee Medal (2002), Queen Elizabeth II Diamond Jubilee Medal (2012), City of Winnipeg Community Service Award, and the Paul Harris Rotary International Award. In October 1993, the St. James - Assiniboia School Division named the George Waters Junior High School (now George Waters Middle School) in his honour. He died at Winnipeg on 31 October 2015. “Search for his body,” Manitoba Free Press, 19 August 1919, page 3. “Funeral of drowning victim,” Manitoba Free Press, 22 August 1919, page 3. Obituary [Margaret Ann Waters], Winnipeg Free Press, 7 January 1972, page 25. “George Waters Retires,” Contact, December 1983, St. James - Assiniboia School Division. “Naming of George Waters Middle School,” Board minutes, St. James - Assiniboia School Division, 26 October 1993. “Junior high students get a place of their own,” Winnipeg Free Press, 29 November 1993, page B1. Obituary [Constance Waters], Winnipeg Free Press, 15 August 1997, page C12. “George Waters ... the legacy of a lifetime,” Manitoba Society of Seniors Journal, August 2003. House of Commons Debates, 16 April 2008. George Waters, The Memory Project. Obituary [Elizabeth Gibb], Winnipeg Free Press, 6 August 2011, page B13. Personal interview with George Waters by Nathan Kramer, 5 December 2013. Obituary, Winnipeg Free Press, 7 November 2015. We thank Frances Waters for providing information used here.